Christina Grimmie fans are pretty steamed at the Teen Choice Awards. Grimmie was the former contestant from “The Voice” who was shot and killed by an obsessed fan in June. The pop singer had a loyal fan base among teens, and on Sunday she won an award for Choice Web Star: Music. In fact, Grimmie and her win weren’t even mentioned during the telecast, which omitted some categories due to time constraints. But Grimmie’s fans had plenty to say on Twitter, accusing Fox of exploiting Grimmie’s death by touting her inclusion in the Choice Web Star category but then not even bothering to cite her in the telecast. 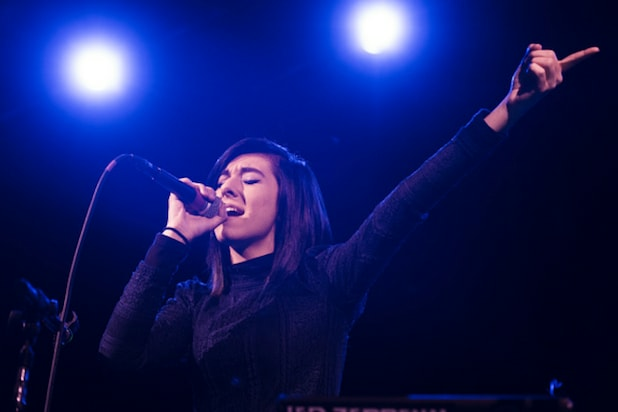 One fan said the producers had “blatantly exploited” Grimmie. Teen Choice blatantly exploited Christina Grimmie’s death to promote their show only to neglect her in their actual show. I’m so angry. "Pretty Little Liars" actress Lucy Hale attends the 2016 Teen Choice Awards. YouTuber Jordan Doww attends the Teen Choice Awards. R&B singer Jason Derulo attends the Teen Choice Awards in Los Angeles. "Modern Family" star Sarah Hyland attends the Teen Choice Awards. "Jane the Virgin" star Gina Rodriguez shows off her new do. "Scream Queens" actress Lea Michele attends the Teen Choice Awards. Ella Anderson, star of Nickelodeon's "Henry Danger," attends the Teen Choice Awards. Actor Ross Lynch attends the Teen Choce Awards. Actress Madisyn Shipman attends the Teen Choice Awards. "Fuller House" actor Elias Harger attends the Teen Choice Awards. Actress and singer Victoria Justice attends the Teen Choice Awards. Crystal Renay and her singer hubby Ne-Yo attend the Teen Choice Awards. Actor Thomas Barbusca attends the Teen Choice Awards. Actress Jessi Case ("Mothers Day") attends the Teen Choice Awards. Singer Carson Lueders attends the Teen Choice Awards. "Shadowhunters" actor Dominic Sherwood attends the Teen Choice Awards. Actor Mark Consuelos attends the Teen Choice Awards. 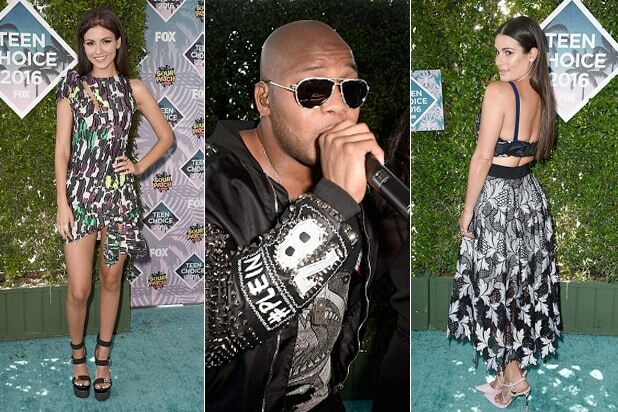 Movie, TV and YouTube stars are showing up to the 2016 Teen Choice Awards in Inglewood, Calif.